Noemi Gasparini was born and raised in Paris, France, and is of Mexican-Italian decent. She is a violinist and singer who thrives on the classical, contemporary and world music scenes. Noemi has collaborated and premiered works with composer and pianist Steven Long. She is a member of Flor de Toloache, the first NYC-based all-female mariachi band. Noemi gives workshops in public schools and community spaces in NY through Bilingual Birdies, Mano a Mano, and others. She is a member of the group Mexico Beyond Mariachi, whose purpose is to bring cultural awareness about the rich traditions of Mexico to the youth. 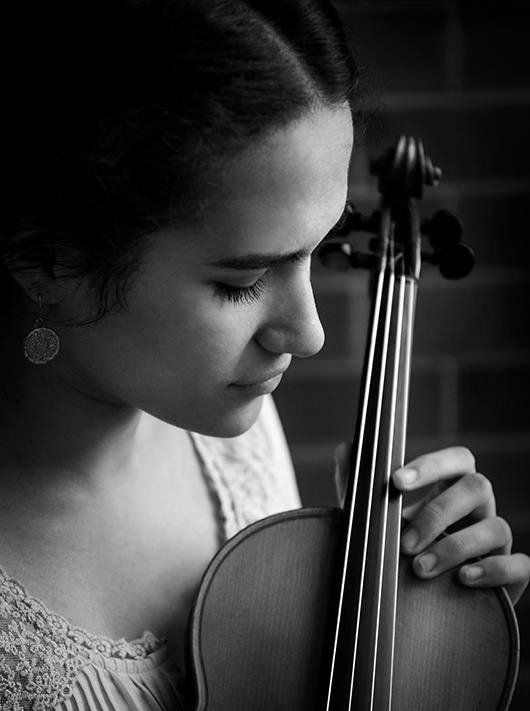 Noemi has worked with and played alongside violinists Shmuel Ashkenasi, Benjamin Bowman, and Pinchas Zukerman. Noemi was awarded a scholarship to Patinka Kopec's violin studio at Manhattan School of Music, where she later received a Bachelor of Music (2017). She holds a diploma from the Conservatoire a Rayonnement Regional de Paris.